Classes are held on evenings and weekends so students don’t have to quit their jobs. Inceptures Software School offers payment plans tailored to each student's needs. Multiple scholarships available to qualifying students. Inceptures Software School is about to start its first class in Fort Lauderdale, Florida. It’s a six-month part-time full-stack programming school inside a web development agency, where students learn on evenings and weekends. We spoke to Inceptures Software School Academic Director Simon Bacquie about how the school’s curriculum covers theory and practice, what sort of jobs graduates could get, the benefits of being part of a web development agency, and why it’s so important to let students keep their jobs throughout the course. What’s your role at Inceptures Software School? I’m the Academic Director, which means that I’ve written all of the curriculum, assignments, and lectures. I’m responsible for making sure the students are learning the right material and that they’ve got everything they need. What's your background and how did you get involved with Inceptures? I started as web developer in 2010. I have about six years of industry experience, working with local companies around South Florida. I went to Florida International University (FIU) to get a Bachelor’s Degree in IT, so I’ve been modeling the curriculum somewhat after my experience in college. One of my teammates at Inceptures, Andre, brought me on board. He had hired me at our previous company where I used to work for him, and was now looking for someone to write the curriculum, and saw that I had teaching experience. I agreed to do it. They have been really happy with my work on the curriculum, and that snowballed into me taking this Academic Director role. I like the fact it’s a different approach to education. I’m trying to find a good balance between practical and theoretical knowledge. I think it’s going to be a pretty unique course, with unique content. Especially for South Florida, there’s not really anything like this yet, outside of a 4-year college degree. It’s not like a 10-week bootcamp, it’s a 6-month course. We have a strong emphasis on the fundamentals, so it’s a bit more realistic. What made you want to start teaching? Do you have prior teaching experience? I have about a year and a half of teaching experience. I tutored some of my classmates in college, and have mentored junior developers throughout my career since then. Those experiences made me realize that I like watching others succeed. I like seeing a student go from feeling totally hopeless and confused, to actually starting to feel confident about their work. After that I was a web development mentor for an online coding bootcamp. What is the tech scene like in Fort Lauderdale? Why is Fort Lauderdale a good place to launch a coding bootcamp? Fort Lauderdale is pretty cool. People have a laid-back attitude most of the time, most likely from the sunny weather that we have all year round. That doesn't mean we don't work hard though – lots of startups have been opening up in the Miami/Fort Lauderdale/Palm Beach areas over the past several years. Fort Lauderdale in particular is growing at an explosive rate right now. You'll see many startup companies around that are roughly five years old, since that's when tech started blowing up down here. There are several healthcare tech startups popping up around South Florida, especially health records software companies. You'll also see some startups around the area in the food service industry. You also have web development and internet marketing agencies that are looking for talent, Inceptures being one of them. All of my experience working in South Florida has been for startups--they tend to have great energy, and incredible opportunities for learning and growth. You also have more established companies that hire developers here, even if they're not necessarily tech companies. The tourism industry has a large presence in South Florida--many prominent cruise lines (Carnival, Royal Caribbean) and airlines have offices here. Insurance companies (United Healthcare, Humana), financial companies (American Express), and TV stations (NBC, Telemundo, CBS) have offices in Fort Lauderdale, and they hire developers. Just about any company that's running these days writes and maintains code to drive their business, whether it's a database-driven app, or just a simple website for marketing purposes. There are established players in the tech industry that have a presence here as well. In Fort Lauderdale, Citrix has offices, and then there's Magic Leap, a virtual reality company that's got a heavy financial backing from Google. In Miami you have the Latin American offices of Oracle and Hewlett-Packard. 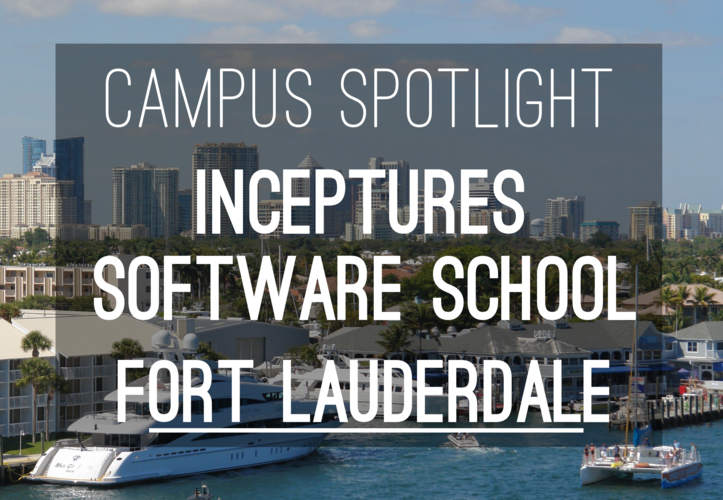 We believe Fort Lauderdale is a particularly good location for a programming school because it's centrally located. The South Florida tri-county area includes Palm Beach in the north, Broward in the middle where Fort Lauderdale is, then Dade County below where Miami is, so Fort Lauderdale is a reasonable distance from anywhere in South Florida really. There are a few coding bootcamps in the Miami-Fort Lauderdale area already; how do you think Inceptures will stand out amongst the competition? There are a few distinct qualities. First, Inceptures Software School isn’t really a bootcamp per se. We focus on theory and practice. The goal of the course is to empower students to choose the programming language or framework or technology stack they want to pursue. We do emphasize PHP since there are a lot of job opportunities for PHP, especially compared to Rails. But the idea is you’ll be able to go in any direction you choose. Then there’s the fact that Inceptures School is actually set within the office of an actual development shop. Inceptures is a development agency and they have clients and projects. So students will actually get to see what that’s like, see real whiteboards, and real design discussions. What is the teaching space like and how many students will it accommodate? The classroom is in a quiet spot, without too much traffic and there’s plenty of parking so it’s pretty convenient. We’re actually expanding into the building next door to the Inceptures office for the school. We will be able to accommodate about 40 students. It’s a wide open space, and people bring their own laptops, which is how it works at a startup. You don’t really have a permanent desk; students will shift around and collaborate with people as you need to. We’ll have white boards, a projector, and everything students need to learn. Have you had to do anything in terms of school licensing with Florida State? Of course, the state of Florida requires licensing to operate a school, we are licensed by the Florida Department of Education. Who is your ideal student? Do they have experience in programming or are they complete beginners? The attitude you’ll see with a lot of bootcamps and coding schools is they say they will transform you into web developer overnight, and it doesn’t matter who you are or what your background is. That’s a nice dream but no school can really do that. You don’t have to have development knowledge, but we require you to be good with a computer. You should have previous job experience where 50% of your work was on a computer. We vet all the applicants, and give them aptitude tests to make sure programming is right for them and they aren’t going to really struggle. Because we don’t want to disappoint people, we don’t want to take people’s money and then they find this just wasn’t for them. What does the application process involve? Is there a coding challenge? Each student has an initial interview with the Director of Admissions who talks to them about their goals and experience. The student takes an assessment which tests their logic and reasoning skills. 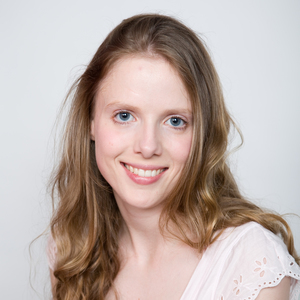 The final part is a second interview with me and/or the lead faculty. We want to ensure each student understands the expectations and the work involved. Will you be doing rolling admissions? Right now we don’t have rolling admissions. That’s something we are looking at in the future. But right now everyone’s on one program. What’s your ideal cohort size? Are you trying to stick to a certain student:teacher ratio? 20 to 30 students is our ideal cohort size. We currently have 3 instructors, including me. Then we have 3 to 4 TAs. On lecture days, we’ll have one instructor giving an interactive lecture and answering questions, then on lab days there will be an instructor along with TAs, and the students will work on assignments. This is a part-time bootcamp; do you expect that students will quit their jobs, or can they work while they go to Inceptures? What kind of hours and schedule will the students put in? That’s another defining trait of our program. We don’t want you to quit your day job to take the course – it’s nights and weekends. We understand that people are using the income from their current jobs to pay for the course, so it’s not realistic to expect people to quit their jobs. Classes are on Tuesday, Wednesday, and Thursday nights from 7pm to 10pm. Then also on Sundays from 12pm to 6pm. The time commitment is 15 hours per week total. Outside of those hours students will be expected to do some work also. There are some homework questions to check your knowledge and understanding of the lectures, and there are lab assignments and projects to work on as well. Part of the 15 hours per week you spend at Inceptures Software School is lab time, so you should be able to finish everything in that time, but you might need to take a couple of hours on a Saturday to finish it. We will encourage all students to spend all available extra time studying, practicing, and even visiting the Inceptures Software Development offices for sit-ins. The more exposure they have to programming, and the environment of experienced programmers, the better off they’ll be. How have you structured the curriculum? At what point can students choose what direction to go in? There is a section at the end of the web development section called “Overview of Advanced Web Development Topics.” At that point, we’ve given you the fundamentals of Java, we’ve shown you how to create a portfolio site and a web application in PHP, and we’ve shown you an overview of Rails and how it’s different from PHP. That last section is how we give context to the things you’ve learned, what else is out there that we haven’t been able to cover in-depth, what options you have for how to market yourself, and which technologies you decide to pursue in your career path. When I went to a 4-year school, they didn’t tell me how to get a job as a Java developer. Instead, they gave me a strong background that could be applied to several different career paths. Using that knowledge, I made a choice when starting out to be a PHP developer, rather than a Rails developer. The idea is that our students will be able to make that choice for themselves. What’s a typical day or class at Inceptures? On a typical class day we begin with a lecture, followed by a question-and-answer session. We also have lab time, lab assignments and then longer-term projects. There will be three major projects, and students will have about a month to complete them. The project requirements are introduced early on, and as the students go through the lectures they will start to get an idea of how to actually do each project. The lab days are more unstructured – students ask a TA if they need something, and collaborate with other students on their projects and lab assignments. We also do quick standups and ask students how their projects are going, what are they stuck on, and so forth. That’s how it is in the industry – every day you have a quick 15-minute check-in with your team. How will students interact or be involved with Inceptures Software Development company? We would probably hire some of the best graduates who graduate from the school. Some of the instructors are also developers at Inceptures, so they’ll be able to give students some perspective and idea of what they do and use every day. We’re also going to encourage students to spend some of their own free time visiting the office and sitting in meetings, watching programmers code, ask questions, get answers, and generally interact as if they were a part of the team. We want them to see what it’s like being in a software development shop. How will you help students find jobs? We will assist our graduates in connecting with a network of local companies looking for junior programmers. We’ve spoken with quite a few of them that are really excited about the opportunity to interview our graduates, they love the idea of being able to bring on well-rounded entry-level programmers. What sort of jobs do you expect Inceptures graduates to get when they finish the program? They could work for a web development shop as an entry level developer. There are a lot of agencies that make websites for a variety of clients – graduates could potentially work for them. I got my start in web development working with HTML emails and landing pages for a marketing team- our graduates would definitely be suited for that job. We’re not promising our students they will get senior level development positions and make six figures right after graduating the course. They’ll have the fundamentals to be able to keep learning on the job. For a complete beginner in Fort Lauderdale, what are your favorite meetups to get introduced to the tech scene? Incepture School’s “Learn to Code” meetup is particularly geared towards beginners. The Inceptures team also runs IoT meetups (IoT=Internet of Things). Refresh Miami is another meetup that I like – it’s a popular networking event. Is there anything else you think prospective students need to know about Inceptures school? It’s important to say what the software school stands for. We stand for honesty and transparency. We’re not trying to sell anyone a dream, we want to make sure that we’re giving people realistic expectations, and that we’re being straightforward. We want to see people learn and grow, and to see new talent entering the South Florida tech scene. We want South Florida to be a viable location for tech companies to come and do business. To make that happen, South Florida needs programming professionals with a solid understanding of the fundamentals. It’s ok to come out of a bootcamp and know how to put together a simple web application, it’s another thing altogether to understand how the framework works, how to optimize it for speed and performance, and ultimately engineer a better solution. Those are the people we want to train at our school, future lead developers, architects, fand engineers. Find out more and read Inceptures Software School reviews on Course Report. Check out the Inceptures Software School website. An email with these details has been sent to Inceptures Software School. You've already applied to this scholarship with Inceptures Software School.